Microsoft is discontinuing extended support for Windows 7 on the 13th January 2020. Windows 10 overtook 7 as the most popular operating system a few months back. Linux is not going to replace Windows on the desktop any time soon (only 2% of desktops in the world use Linux), but many large corporates use Linux for servers and it is very, very prevalent with most Internet Service Providers. In addition, Android is essentially a version of Linux and in addition to Apple IOS, Android is platform for many of Microsoft’s cloud services such as Office 365 online, OneDrive, Skype, OneNote, etc. 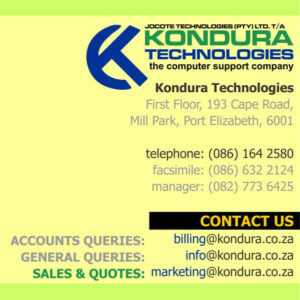 In South Africa and Internationally, however, most Small Medium Enterprises still use the Microsoft Server Platform. The predominant desktop and mobile app development and support still remains Windows, Android, IOS and MacOSX. 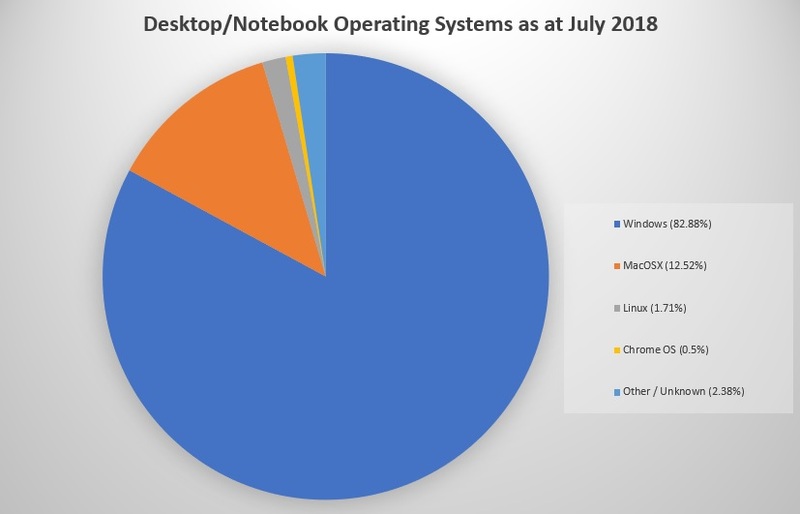 Windows and MacOS still remains the Personal Computer choice for “getting things done”. Apple is going to start taking huge knocks in market share soon, however, as Amazon, Google and Microsoft dominate the cloud and cloud service space and increased reliability and utility of existing phones, lack of any innovation in new phones are expected to cause over 20% less phone sales world-wide this year. In the pipe-line is Microsoft 365 for consumers and enterprise – a new subscription model that will not only include Office 365, but Windows 10 as a value added service as well. Interesting times ahead as the industry embraces cloud infrastructures and Bring Your Own Device computing. Apple appears to have been resting on its laurels putting most of their eggs in the iPhone basket.